This was my first time exploring the colourful lights and whimsical designs, juxtaposed with the modern background of the city centre. I had seen posts of the beautiful art installation circulation in my Instagram feed and knew I want to check out this unique festival myself. 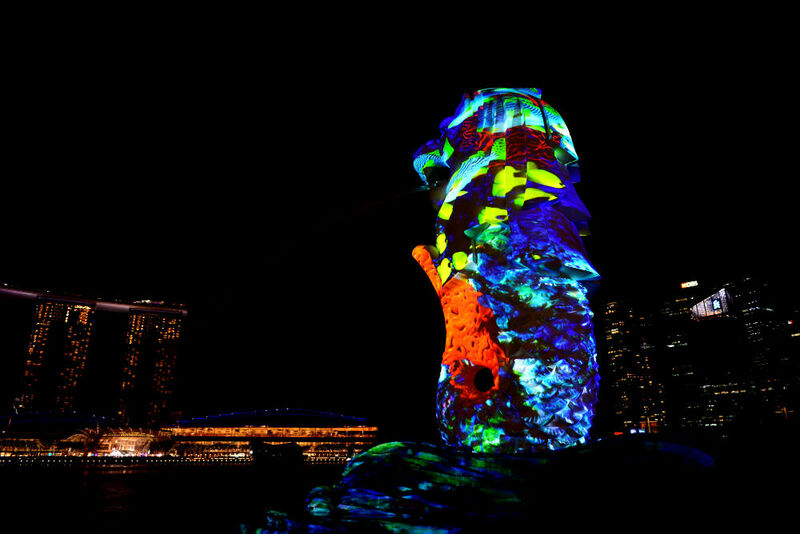 i Light Marina Bay is the sustainable light show that ignites Singapore’s skyline each year. 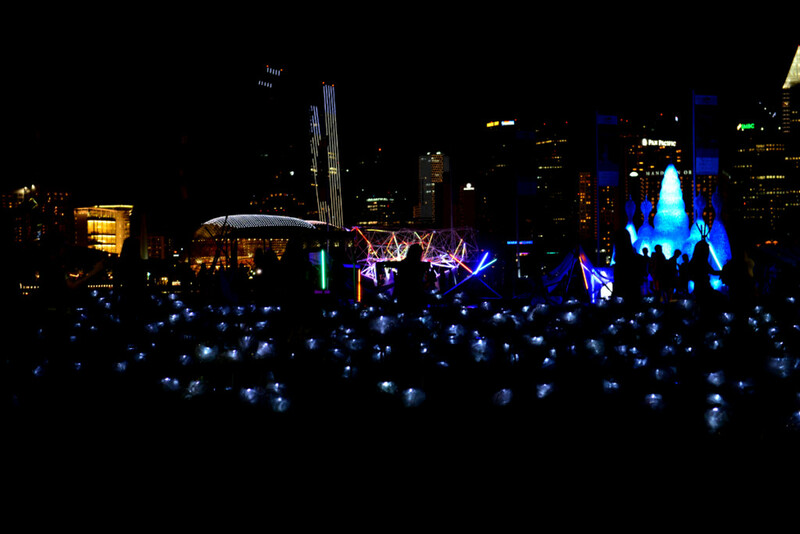 Back for its fifth edition this year, i Light Marina Bay 2017 brough vivid colours, reflected onto the sea of glass buildings, great food at GastroBeats, and some serious Instagram worthy backgrounds. 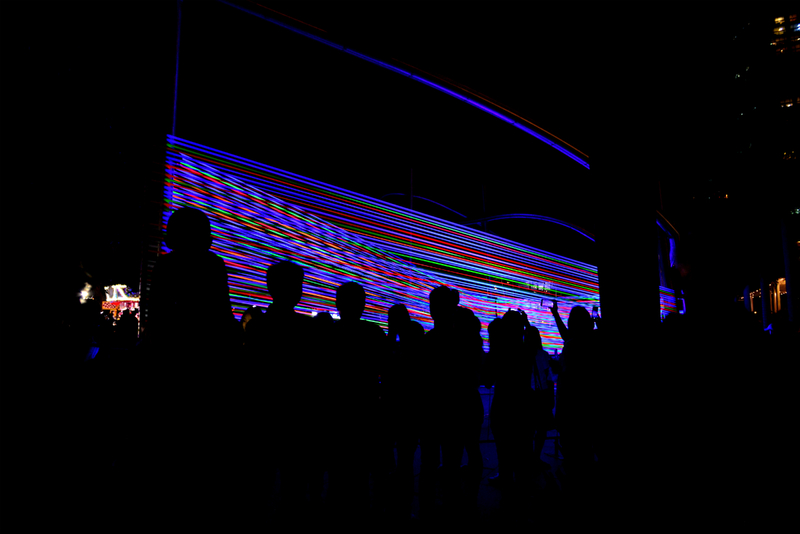 In support of Earth Hour, the art installations were switched off for an hour, which made the event even better, with its continuous efforts, towards greater sustainability. 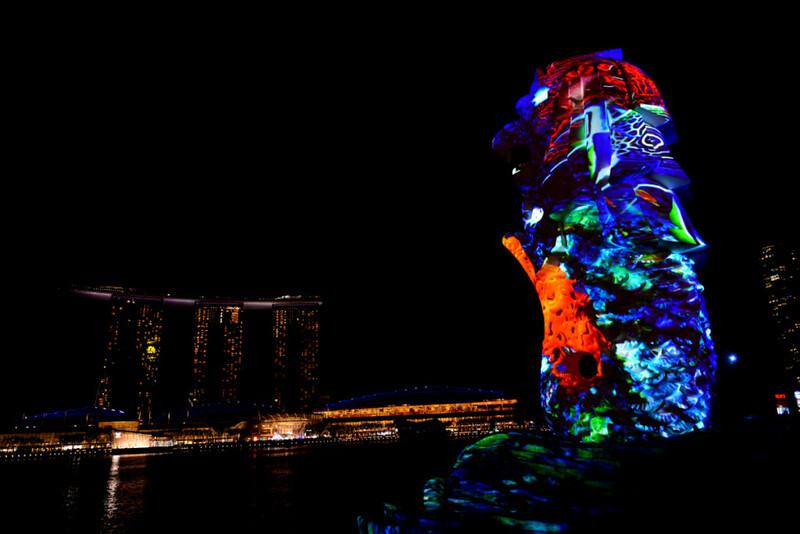 If you are visiting Singapore during the festival times, try to spare some time and check out the amazing displays, that gets bigger, better and brighter with each year. Also try to avoid the weekends, unless you want to find yourself drowning in the sea of people, with each and everyone trying to steal a second of this beautiful display for himself. The festival showcased international works from USA, Canada, The Netherlands, Poland, Sweden, Singapore, Indonesia, UK and France. 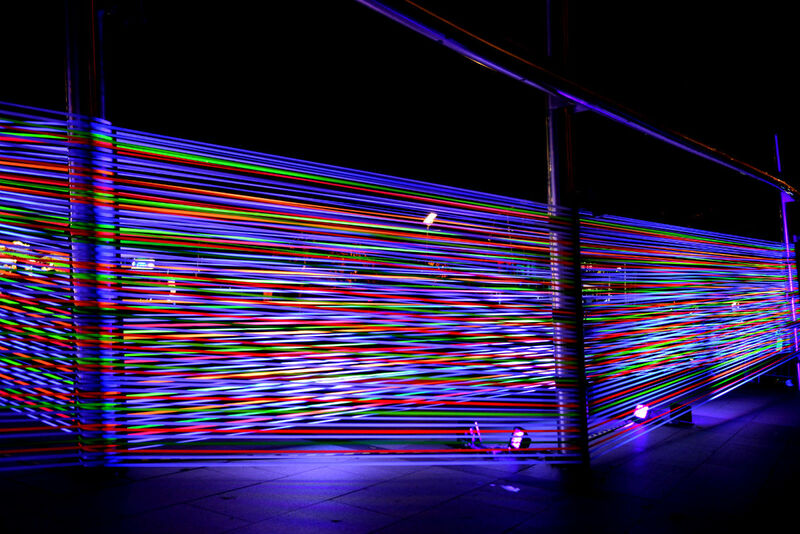 These colourful ribbons, wrapped around connecting poles, were creating a waterfall of lights, as they gracefully danced with the wind. 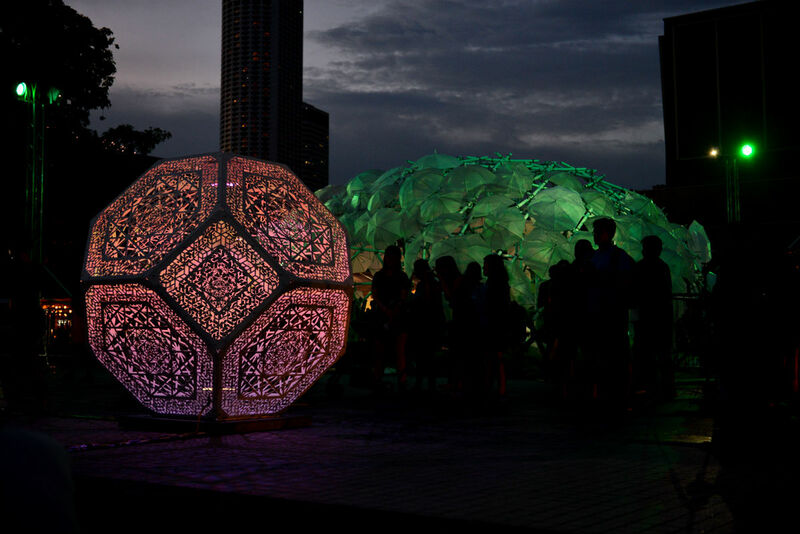 The sea of solar-powered LED flowers, turned the plain lawn, into a whimsical garden from a fairytale. 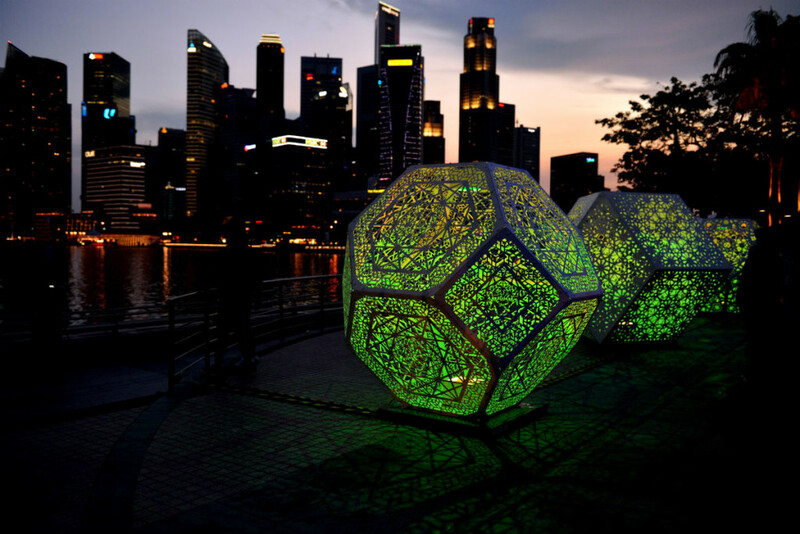 These colour-changing hexagonal prisms translated the appearance of the harmonic beauty found in the different natural patterns and brought it to live into a sculptural form. 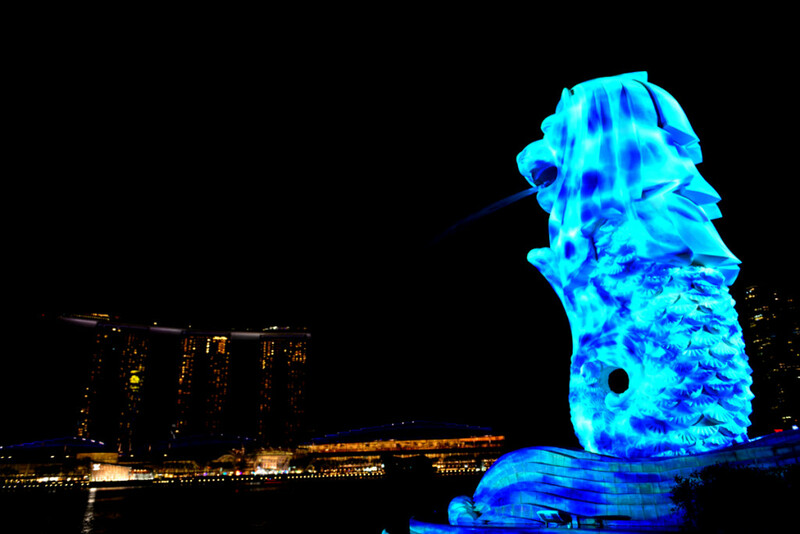 The Merlion (Singapore’s most iconic symbol) was brought to live with the help light and sound. Waves of vivid colours gave the Merlion a surreal skin of corals, shells and other marine creatures. It felt as if the statue was alive, with the light pulsating from its surface. 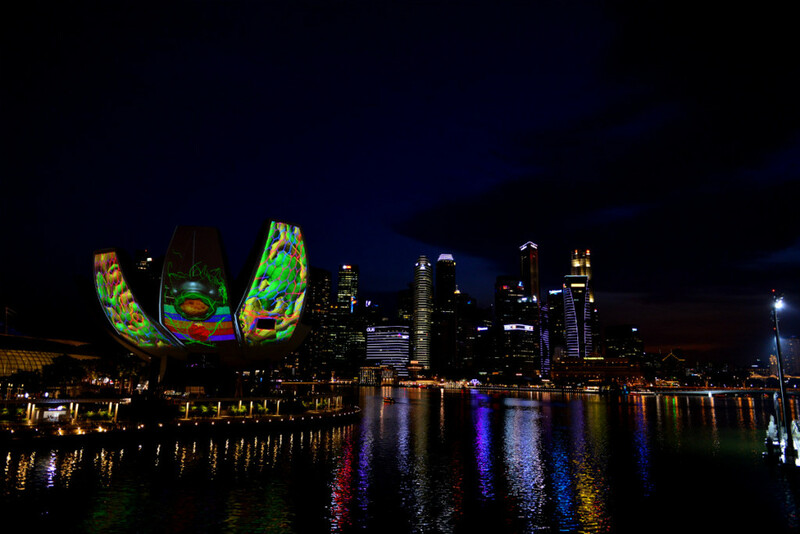 The exterior of the ArtScience Museum petals was transformed into a giant canvas where series of visual images, connected with the human relationship with the cosmos, were projected. 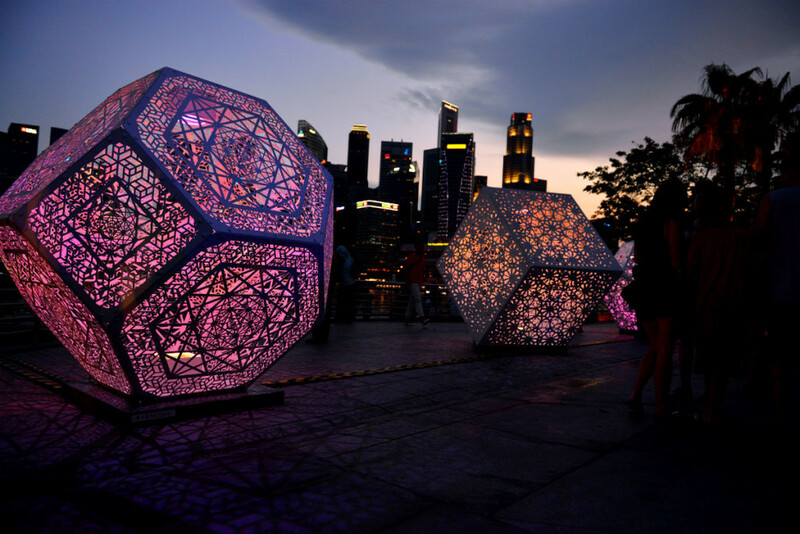 Can you imagine what next years’ i Light Marina Bay will have in store for us? I know one thing for sure, it will be as colourful and beautiful as ever!